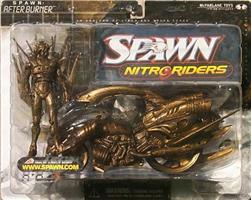 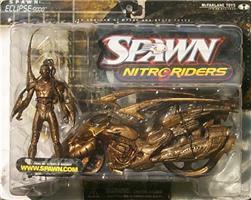 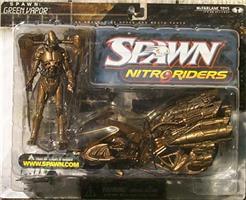 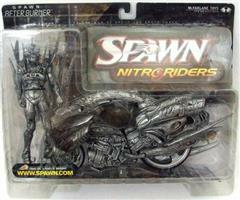 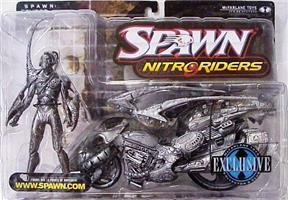 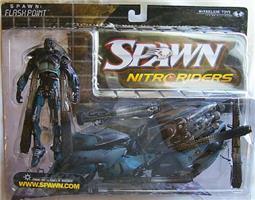 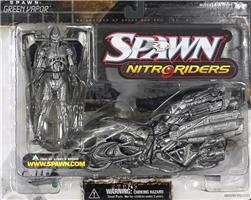 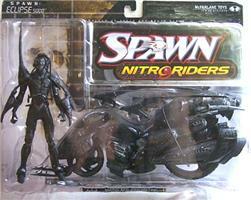 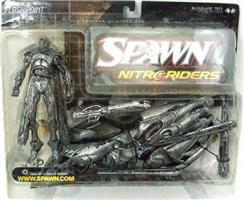 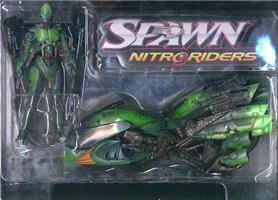 2000's first Spawn series features something McFarlane Toys has never done before: packaged vehicles with the Spawn action figures. 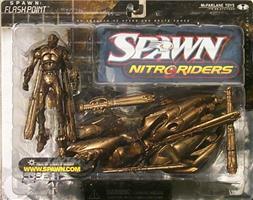 The Nitro Riders - Eclipse 5000, Flash Point, After Burner and The Green Vapor - are geared up and ready to roar. 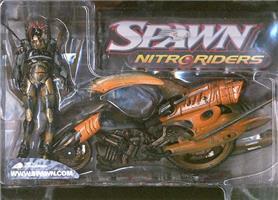 The figures are between 5 1/4 and 6 inches tall and feature 15 points of articulation and massive motorcycles 9 to 10 inches long.